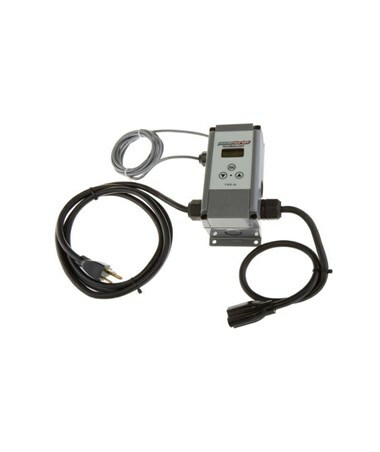 The Adjustable Thermostatic Controller for PowerBlanket Heaters delivers greater temperature control. Easy to use and control, it allows PowerBlanket product temperatures to adjust from ambient temperature to the maximum temperature possible per product. 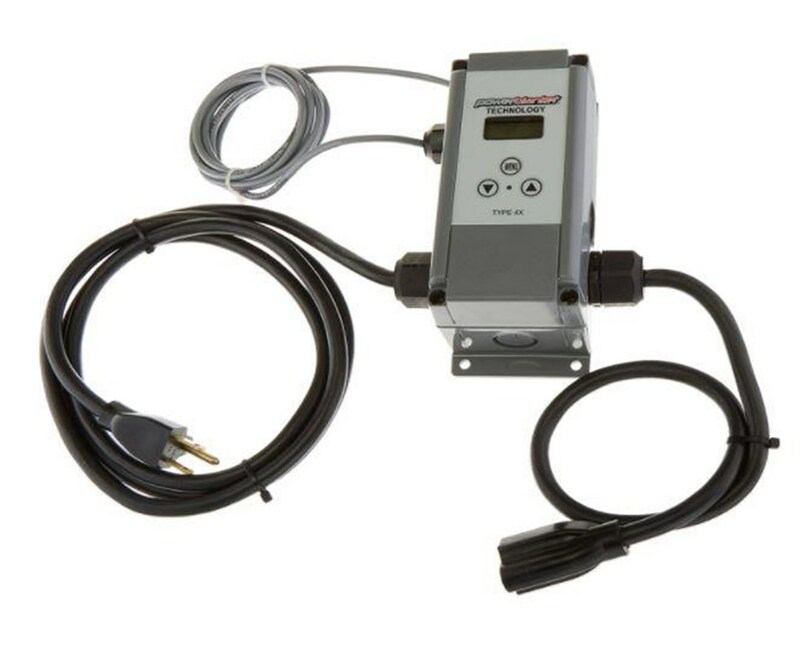 The heat probe delivers precise measurement – eliminating second guessing. It runs on a 110-volt electric plug and uses 15 amps.